Last month, the Travisso team celebrated the grand opening of the community’s Model Home Park, which features 10 model homes by Taylor Morrison, Toll Brothers, Drees Custom Homes, Grand Haven Homes, and Highland Homes. Located four miles west of 183 on 1431 in Leander, Travisso is being developed by Taylor Morrison and Toll Brothers, who purchased the property in 2012. 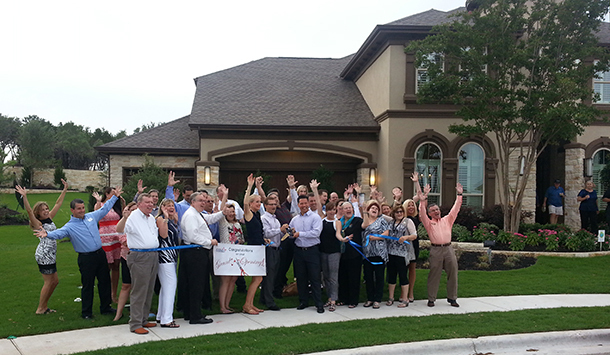 The ribbon cutting ceremony was well attended, including Leander City Council members, Chamber of Commerce members, the City Manager, and real estate agents. The opening of the Model Home Park kicks off the first phase of sales for the community, which has an expected build out timeframe of 10 to 15 years. 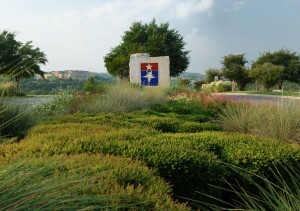 RVi is providing planning and landscape architecture services for Travisso, including the community master plan, lot layout, and streetscape and entry feature design. 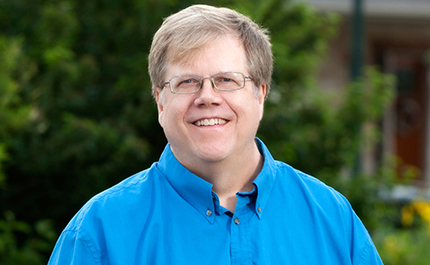 The vision for Travisso involves miles of trails, numerous neighborhood and pocket parks, and a larger regional parl. The community aims to tread lightly on the land, taking advantage of the natural topography of the site and the abundant hill country views.